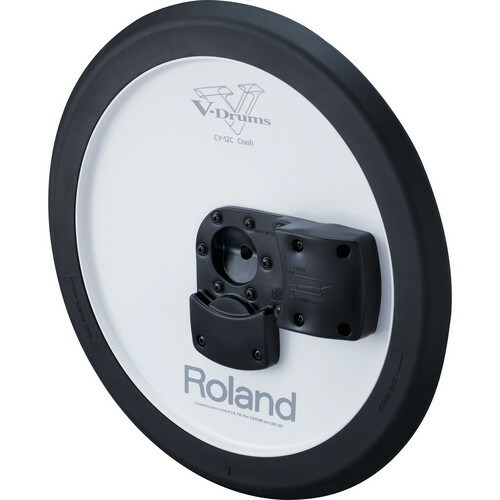 The Roland CY-12C V-Cymbal Crash is 12" (305mm) in diameter, features 2 zones at the bow and edge, and is intended for use with the Roland V-series electronic drum sets. The cymbal mounts to the optional MDY series mount. Box Dimensions (LxWxH) 14.3 x 14.1 x 3.9"